A bill introduced by Senate President Pro Tem Kevin de Leon, has been introduced that would provide up to (USD) $250 million in financial guarantees as part of Los Angeles’ bid for the 2024 Summer Olympic Games. The creation of an “Olympic Games Trust Fund” would help cover any potential cost overruns if L.A. were selected host city. Mayor Eric Garcetti and the private LA 2024 bid committee haves estimated the Games could generate enough money from broadcast rights, corporate sponsorships, ticket sales and other sources to cover a proposed budget that could exceed $6 billion. However the city must guarantee to the International Olympic Committee (IOC) that it will cover any and all costs that exceed revenues, a standard part of the host city agreement signed when the Games are awarded. Los Angeles was selected to replace Boston as the U.S. nomination to bid for the 2024 Olympic Games in September after Mayor Marty Walsh refused to commit taxpayer dollars to guarantee the Games and the Massachusetts city was forced to drop its bid. Los Angeles constituents have been more supportive with polls showing as many as 88 per cent being behind the bid. In the past the financial guarantee has been a contentious issue among United States bidders including recently Chicago 2016 and New York 2012. To provide the necessary financial security, Chicago proposed an insurance plan designed to fund any reasonable cost over runs. Chicago was defeated by Rio to host those Games. 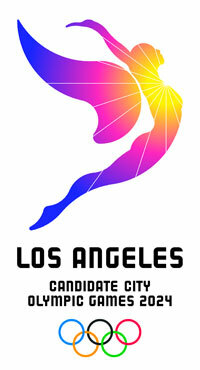 Los Angeles is competing against Paris, Rome and Budapest for the 2024 Games. The IOC is to select a host city in September 2017 in Lima, Peru.